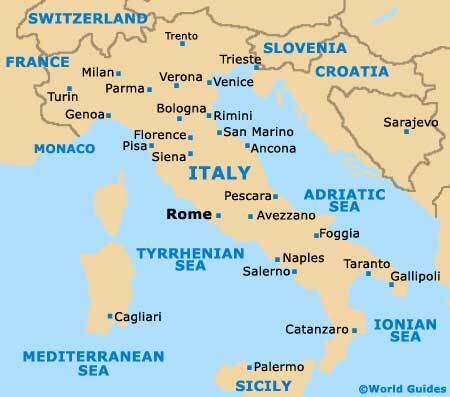 The proud Italian capital lies within the Lazio region of West-Central Italy, alongside the Tiber River. Rome is a huge and spreading city, often chaotic at times, and so getting around is not always straightforward and often benefits from a little forward planning. The majority of the most visited attractions in Rome reside within the compact part of the city edged by the Stazione Centrale Rome Termini train station (east), the River Tiber (west), the Colosseum (south) and the Villa Borghese (north). 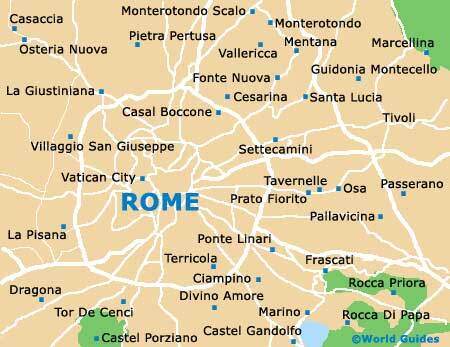 Those interested in paying a visit to either the Trastevere area or the Vatican City will need to head across the River Tiber, to its western bank. The Stazione Termini forms Rome's principal transportation hub, with many affordable hotels being within its vicinity, particularly around the Piazza Cinquecento. 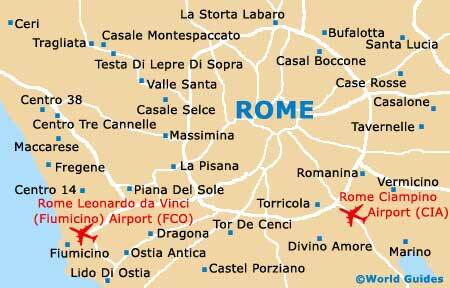 From here, the famous Roman Forum is just a short walk away, along the Via Cavour. To reach sights such as the Piazza di Spagna and the Trevi Fountain (Fontana di Trevi) head towards the Repubblica Teatro del'Opera Metro stop and following the Via Nazionale. Pocket-sized maps are essential for all visitors trying to navigate their way around the streets of the city and these can be obtained from the Rome Tourist Board, which has an office on the Via Parigi and a number or kiosks dotted around the city centre.